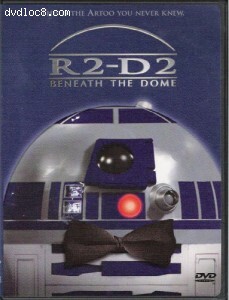 This page contains easter eggs for the disc R2-D2: Beneath the Dome (DVD, Region 1). From the main menu screen, move the cursor to the right. This will light up R2's "eye", and selecting it will take you to a gallery of photos from the films and the documentary.